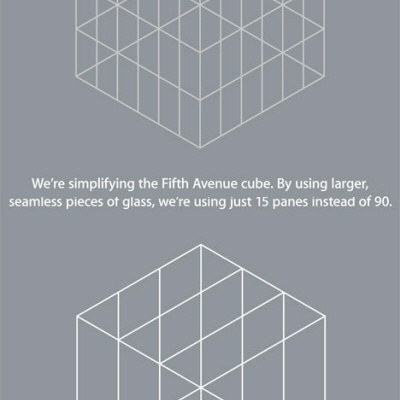 The way we view and understand art is changing. Rapidly. As the Google Art Project proves, you no longer have to live in a big city to access great museums and canonical works of art. The Google Project exposes major museum's collections like the MoMA in New York City, the Tate in London, and the Uffizi in Florence to anyone with internet access. 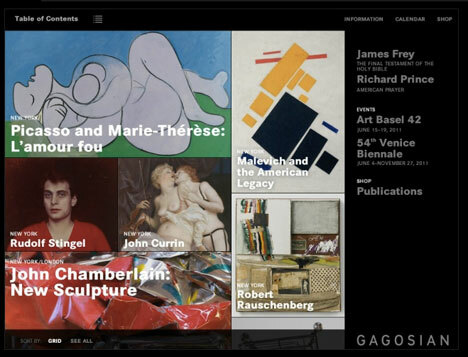 The Gagosian empire of galleries recently joined the game, with the release of an iPad app showing off and going in-depth into some of their wares. With outposts in 11 international cities including New York City, Geneva, Paris and Hong Kong, the Gagosian displays and sells a rotating selection of the world's best contemporary and modern artists' work. 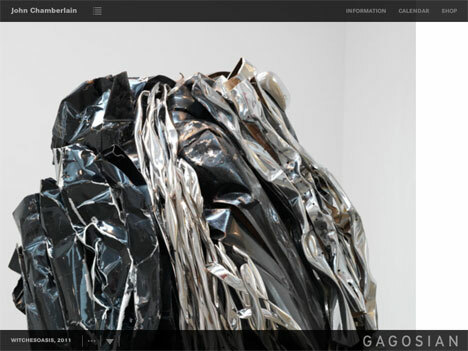 The app is a view of what is, was, and will be on display at the galleries. While not comprehensive, giving an overview of each show with a write up and a few images, it does go in-depth into the most high-profile work on view. 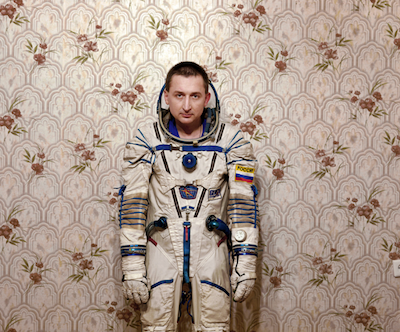 Content will be updated quarterly, and currently the app features 22 exhibitions. Of the 22, users can go deeper into 7, with rich imagery of the art and special features for each. 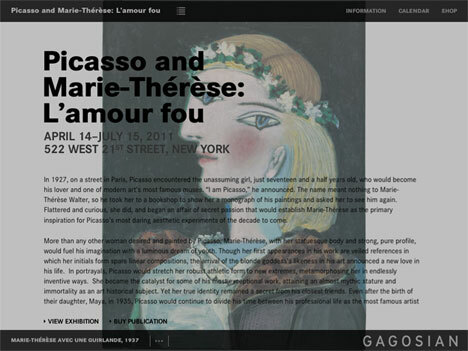 Users can view each work up-close in the Picasso and Marie-Therese: L'amour fou exhibition on view in New York this Spring, or watch a video of Vera Lutter discussing her photographs of Egypt, shown in London. The high-res shots of John Chamberlain's mangled car-parts sculptures, shown in New York and London this summer, are not as visceral as experiencing them in person. 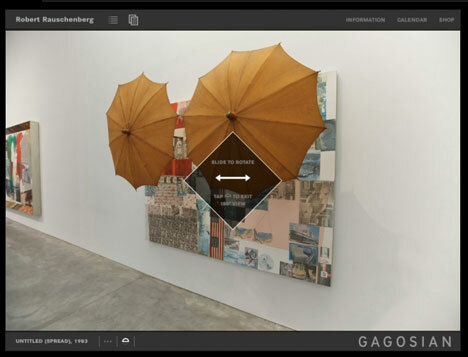 Ideal display of sculpture in this format is how the app treats a few Robert Rauschenberg assemblages, which users can rotate around to see in 360° views (pretty awesome). 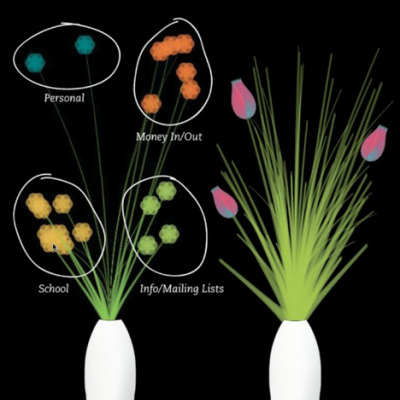 Each of the quarterly editions of exhibitions will be stored in an archive, which is an especially interesting feature. Whereas much of the art shown in the Google project can also be seen in-person in public museums, gallery work purchased by a private collector can go into hiding for years, sometimes never shown publicly again. With the archive, hopefully users will be able to access high-res views of private work. To create the app, Gagosian turned to digital firm @radical, who also worked with Chris Milk and Arcade Fire on the compelling "Wilderness Downtown" video. 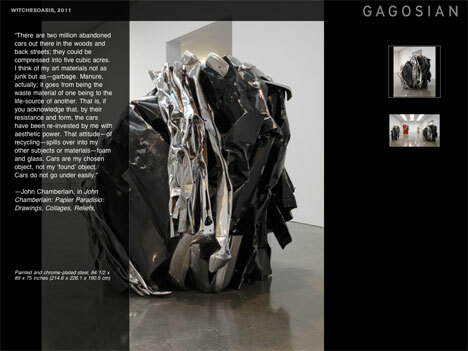 @radical's interface design for Gagosian is simple, refined, and somewhat similar to the Google project. Other recent, notable forays into displaying art through new tech: The New York Times interactive tour of the Barnes Collection in Philadelphia, and the Pace Galleries' "50 years at Pace" application.